Ok Dare Devil, you want to bowl with some Danger? Check out this ball! Roto Grip has taken the Madcap core that was introduced in the original Dare Devil ball and combined it with the Psyched Hybrid Reactive coverstock and then finished it with a 1500 grit polish. The Madcap core has proven itself as one that offers midlane roll that continues through the pin deck unlike other symmetrical shaped cores from Roto Grip. The hybrid version of this ball is 2 parts pearl and 1 part solid and offers length through the fronts and a more consistent reaction on the backend. This ball was made for a variety of oil patterns but is best used on medium oil conditions but can be tweaked to handle more oil too. 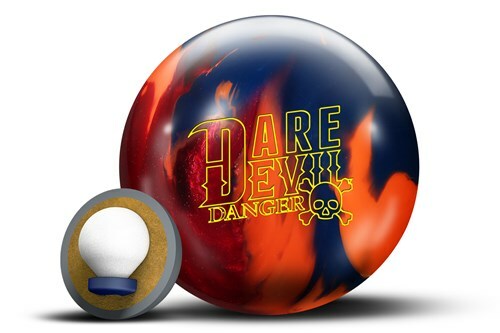 Following the success of the Dare Devil and Dare Devil Trick the Dare Devil Danger will provide a slightly different ball motion with the same pin action that will make the competition take notice. At this time, there is not. You can always check YouTube. The Pin Out or In. A drilling term that is relative to a bowler's track designed purposely for creating more ball dynamics. 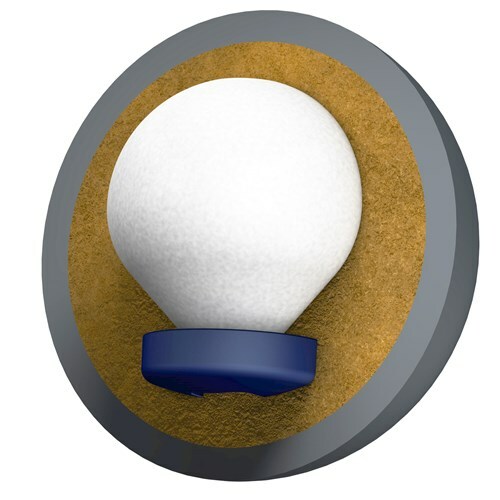 A Pin-in ball (when the pin is located within two inches of the Center of Gravity) is excellent choice for control and less hook; a Pin-out ball usually can be made to hook more and flip more dramatically than pin-in balls; they often give the driller more options. The Top weight is Drilling of a ball so that there is more weight above the label than there is below; it is considered a positive weight. 5 of 5 customers found this answer helpful. Did you? Yes | No Did you find this answer helpful? Yes | No Thanks for your feedback! Unfortunately, we do not keep the pins and top weights available to us. If you wish, you can request your desired pin/top weight at the end of the order page in the 'special comments' box. 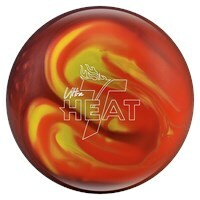 How does this ball compare to the Storm hyroad pearl? The Roto Grip Dare Devil Danger would be more aggressive for it has a hybrid coverstock and the Hy Road Pearl has a pearl coverstock. The only difference between the two balls is the lane conditions. The Dare Devil Danger is only meant for medium oiled lanes and the Hy Road is meant for medium-heavily oiled lanes. Is core the same in a 13 and 14 lb ball? The 13lb ball will have a generic core. 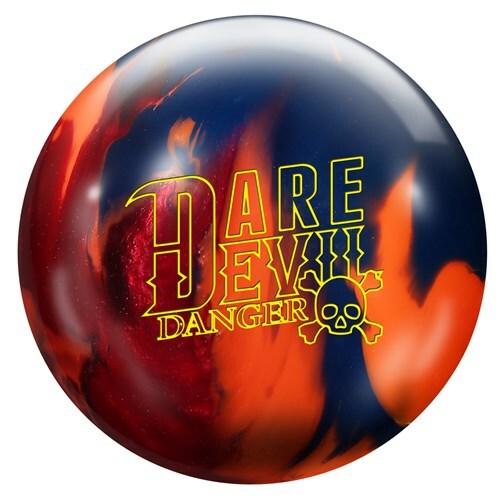 Due to the time it takes to produce the Roto Grip Dare Devil Danger ball it will ship in immediately. We cannot ship this ball outside the United States.